USD is strengthening against EUR. Investors calmed down after the mid-term US elections, which resulted in a “divided” Congress, whose House of Representatives is now controlled by the Democrats, while the Senate by the Republicans. This threatens the presidential administration with difficulties in domestic policies, but it will not soften the US-Chinese trade conflict, since both parties support it. The market is now focused on the Fed meeting. In November, it is short, with no update of economic forecasts and the press conference of Jerome Powell. The interest rate is expected at 2.25%, and the accompanying statement is likely to mark continued growth in the economy and the labor market. The main question is the actions of the Fed in 2019. The market is counting on another rate increase in December and another three increases in the next year. However, the pressure of the Trump administration and the uncertainty in the trade conflict with China could force FOMC members to slow down the monetary tightening and limit themselves to two increases. The price is testing the level of 1.1413 (Murrey [3/8]), trying to break it down. If successful, the decline will continue to 1.1352 (Murrey [2/8]) and 1.1291 (Murrey [1/8]). 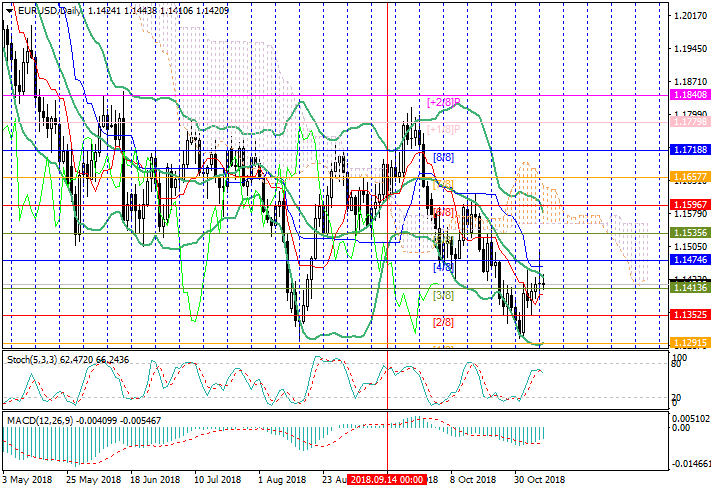 The level of 1.1474 (Murrey [4/8]) is the key for the "bulls". Its breakout can cause growth to 1.1535 (Murrey [5/8]) and 1.1596 (Murrey [6/8]). However, the decline seems more probable, since Bollinger Bands are directed downwards. Stochastic is also reversing down. Support levels: 1.1413, 1.1352, 1.1291. Sell positions may be opened below 1.1413 with targets at 1.1352, 1.1291 and stop loss at 1.1450. 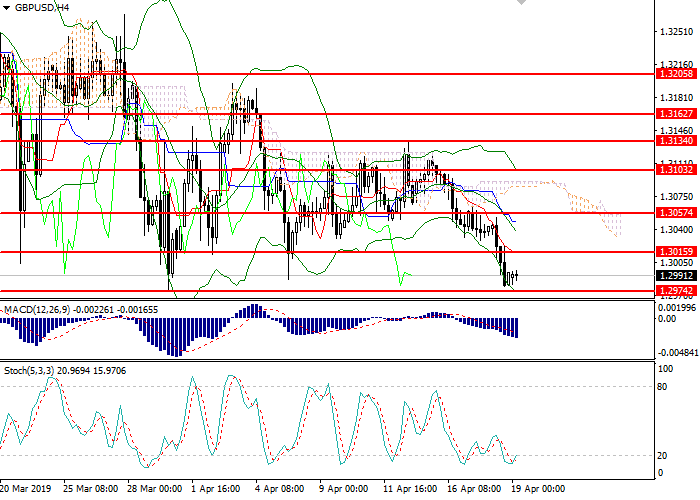 Buy positions may be opened above 1.1474 with targets at 1.1535, 1.1596 and stop loss at 1.1430.